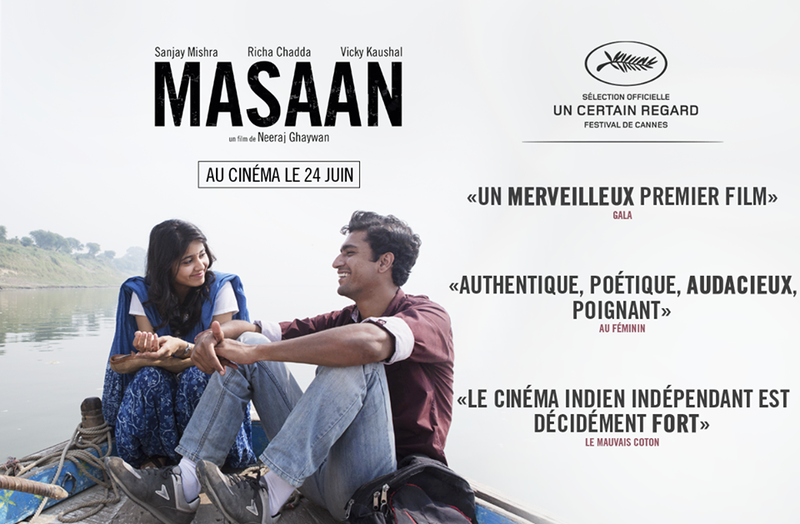 Manish Mundra’s Masaan directed by Neeraj Ghaywan, which premiered at the Cannes Film Festival 2015, won two awards– FIPRESCI, International Jury of Film Critics prize and Promising Future prize in the Un Certain Regard section. The film, starring Richa Chadda, Sanjay Mishra, Vicky Kaushal and Shweta Tripathi in the lead roles, received a five-minute-long standing ovation after the first screening at the festival. This comes as a hat-rick for Manish Mundra’s film studio, Drishyam Films. Their previous two projects, Dhanak won two awards (The Grand Prix for the best feature length film of the category, awarded by an international jury) at Berlinale and Umrika won the audience award in the World Cinema Dramatic Competition section at the Sundance Film Festival, earlier this year. Benares, the holy city on the bank of Ganges, reserves a cruel punishment for those who play with moral traditions. Deepak, a young man from a poor neighborhood, falls hopelessly in love with a girl from a different caste. Devi, a young student who’s gone off the rails, is tortured by feelings of guilt following the disappearance of her first lover. Devi’s father Pathak, a victim of Police corruption, has lost his moral compass because of money, while a young boy, Jhonta, is in search of family. These characters are all seeking a better future, whilst buffeted between the demands of a modern life and an attachment to tradition. And their paths are about to cross. The Indo-French co-production is produced by Manish Mundra, Macassar Productions, Phantom Films, Sikhya Entertainment, Arte France Cinema and Pathe productions and is slated for this summer release.